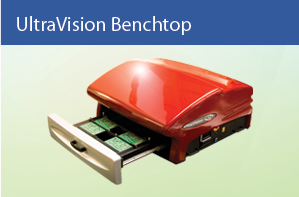 Historically Automated Optical Inspection (alternatively Automatic Optical Inspection) has only been widely employed in the inspection of assembled printed circuit boards. However many of the techniques and inspection algorithms can be readily adapted to inspection within other engineering disciplines. 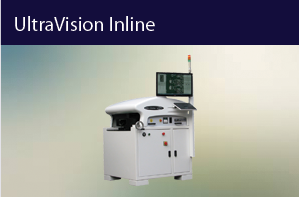 AOI gives the user the ability to inspect assembled printed circuit boards in a rapid and repeatable manner giving them confidence that the finished product meets the required specification and necessary quality levels. Generally a board inspection will only take a few seconds. Checks will be carried out for correct component, orientation, placement accuracy and solder quality. In addition data will be collected for fault analysis allowing the user to confirm their manufacturing procedures. A vast range of products start life as a blank which may have been produced by many differing processes including cutting, blanking or machining. The integrity of the finished product may well be compromised by inaccuracies generated at this early stage. 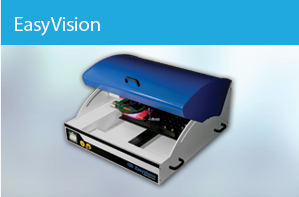 Automated optical inspection can offer an immediate solution for the inspection of blanks. Measurement accuracies of better than 0.025mm (0.001″) are achievable with virtually no restriction on blank size. From original manufacturing drawings inspection programs can be readily constructed with tolerance allowances and actual inspection carried out immediately, there being no need to have a 1st off manually checked sample. All the parameters of the blank can be inspected including lengths, radii, angles, hole size and possibly surface defects. Again the inspection process will be rapid and repeatable. This process readily lends itself to automated inspection. By loading drawing information directly on to the inspection platform there is no need to carry out a 1st off check and all aspects of the finished blank can be verified. For complex mechanical assemblies optical inspection can be quickly deployed to verify the correctness of the assembly. Missing or incorrect parts can be identified and such things such as screw, washer and spring washer assemblies can be confirmed together with the use of the correct style of screw. In addition correct wiring to parts of the assembly can also be checked ensuring the correct colour and size of cable has been used and where a crimp termination is employed that this is also correct. Where printing is employed as part of the manufacturing process, the quality and information displayed can be verified (for example use before dates on food product containers) with suitable interruption signals being generated from the inspection unit. Where foreign matter on the surface of mouldings and similar products may have a detrimental effect on the reliability of a product automated optical inspection can offer a solution to this problem. Outer surfaces can be quickly and reliably inspected on a continuous basis. It would be impossible to identify all the areas in which optical and laser inspection can offer significant improvement to manual inspection. At DCB Automation we are here to offer advice and hopefully solutions to your inspection requirement. Our engineers would welcome the opportunity to discuss your application.